“The impacts on nature of this mega-mine can’t be reversed,” Nature Conservation Council CEO Kate Smolski said. “The expansion will destroy 160ha of koala woodland and 190ha of regent honeyeater habitat, and poses a threat to 36 other threatened animal species. The original Wilpinjong mine, 40km northwest of Mudgee in the state’s Central West, was approved in 2006 to operate until 2026. The extension approval will extend the life of the mine to 2033, intensifying its impact on wildlife habitat and increasing carbon emissions. “The PAC’s approval is a terrible decision not just for our threatened species but also for our climate,” Ms Smolski said. “When the coal from this mine is burned overseas it will release more carbon pollution into our atmosphere than the entire annual emissions of NSW. “People are sick of the harm coal mining and coal burning does to nature and our climate. “The overwhelming majority of people who spoke at the recent public meeting opposed the project, yet the Berejiklian government has pushed ahead and approved it. International Permaculture Day is annually celebrated around the world on the first Sunday in May. It is Australia's best export! Join us on the Northern Beaches for three inspiring open garden tours as well workshops on aquaponics, coffee making, bee keeping and much more. Please start this fantastic day at easily the biggest permi garden around! This humongous garden is set on the beachtop headland, spanning three properties, and consists of a vast array of fruit trees, huge raised beds, chickens, worm farms, self watering systems, honey and native bees and a huge pool to pond conversion with over 200 trout. Aquaponics refers to any system that combines conventional aquaculture with hydroponics in a symbiotic environment. Ever wanted to grow your own fish to eat, harvest your veges and have it almost completely sustainable, well now you can with this amazing system. Please join Charlie and the Bungan crew around the pool for this interesting talk, we may even get time to throw a line in. Join the crew to learn and talk in the ancient art of saving seeds , Bring your own, swap and buy seeds all grown locally. Another fantastic garden with over 35 fruit and nut trees, a lot of them exotic. A unique sloping block with an aquaponics system built into the landscape, chickens, ducks, ponds plus bee hives scattered throughout the garden. The bonsais are maintained by integrated water systems and it also keeps the veggies from drying out. Loads packed in, come check it out. Join award winning honey experts Mark and Caroline on a talk about bees and honey! How they make it? Why? The importance of pollination and the state of our bees. Bring your questions and take home some local raw honey. Just up the road lies our final garden , another hugely productive level garden with numerous established fruit trees all bearing fruit. Dragon fruit, pomegranate and persimmon just to name a few. A vast array of veggies but a spectacular coffee hedge laiden with beans is the true attraction. Why do we pay $4.50 for a coffee? Because there actually is a load of work involved before that sweet nectar hits our lips, come and learn how to harvest, dry, shell, roast, grind and FINALLY pour the perfect coffee. With a professional barista on call all day to serve it up, this hands on experience will be one to remember. 2pm – 5pm TIME TO PARTY! So bring the kids, let them dance to the live music in the garden, enjoy a wine or a cuppa, talk to experienced gardeners from Permaculture Northern Beaches who will be available at the permaculture stall, along with other various stalls, fun kids activities, plant sales, raffles and many more. Get involved with Permaculture & your community on the Northern Beaches! Entry to gardens is by donations with all proceeds going back into your community group Permaculture Northern Beaches. New South Wales (NSW), on Australia’s eastern coast, is a region with a rich agricultural history. Dairy farms, ranches, race horse farms, and vineyards dot the rural landscape in Hunter Valley, where descendants of some of the island’s earliest settlers have been working the land for generations. However, in recent years, the region’s farms have become islands surrounded by oceans of open-pit coal mines. Under directives to prioritize economic growth above all else, government is issuing coal licenses with little regard to mining’s impact on local residents’ lives. Almost two-thirds of the Hunter Valley floor has been given away in coal concessions, producing 145 million tons of coal every year. Some of it is burned at nearby coal powered plants but the majority is shipped off to foreign markets, cementing Australia’s place as the world’s largest coal exporting country. Coal mining has displaced many landowners in the valley. Those who remain live surrounded by around-the-clock blasting and heavy equipment operation. Coal dust settles onto houses, farmland, and water sources. When the wind blows, residents shut all doors and windows and stay inside. A survey by a local physician found that one in five children in the valley have lost some 20 percent of their lung capacity; asthma, heart disease, cancer, and mental health problems are on the rise. Wendy Bowman, 83, is one of the last residents left in Camberwell, a small village in Hunter Valley surrounded on three sides by coal mining. She married a farmer and took over the family business after her husband’s untimely death in 1984. She had to quickly learn how to manage a farm, and abruptly encountered the harsh reality of what coal development was doing to the local community. Landowners were being forced to move off their property with little say or explanation of their rights. In fact, they often found out their land had been leased to mining companies by reading about it in the local newspaper, where the government posted notices. Coal companies created divisions within the community by offering huge sums of money to select landowners and imposing a gag order on the terms of the deal. In 1988, just four years after losing her husband, Bowman’s crops suffered a devastating failure. A coal mine had tunneled under a creek that irrigated her farm, and the heavy metals in the water caused the crops to die. Around the same time, another mine broke ground on nearby land, causing constant noise and light pollution. Coal dust from the mine covered her fields, and the cows refused to eat. After a contentious four-year battle, Bowman convinced the mine to buy out her farm that had been destroyed by mining. In 2005, she was forced to relocate again when she was served an eviction notice—and given six weeks to move to make room for a coal mine. She eventually settled down in Rosedale, a small cattle farm in Camberwell. But her battle against coal was far from over. In 2010, Chinese-owned Yancoal proposed to extend the Ashton South East Open Cut mine, which would bring mining operations onto Bowman’s grazing lands and the banks of one of Hunter River’s most important water tributaries. Bowman was determined to stay and protect the community’s health, land, and water from further destruction. The Ashton mine expansion was initially opposed by the regional government agencies because of concerns about the mine’s air and water pollution. Yancoal appealed in 2012, and the planning committee approved the project. By early 2015, more than 87 percent of homeowners in the proposed mining area had sold their property. As one of the few landowners left in the area, Bowman became a key plaintiff in a public interest lawsuit to fight back the mine expansion. Given that more than half of the coal for the proposed mine is under Bowman’s property, her refusal to sell was a significant factor in the case. The Land and Environment Court issued its ruling in December 2014: The Ashton expansion could proceed, but only if Yancoal could get Bowman to sell them her land. It was the first time an Australian court placed this kind of restriction on a mining company. The New South Wales Court of Appeals affirmed the lower court’s decision, effectively stopping the mine expansion in its tracks. Bowman has refused offers of millions from Yancoal, and is now working on a plan to have Rosedale protected in perpetuity. She continues to be an advocate for the community’s health and environment, and has worked with the local health department to place air monitors near coal mines. She has also recently installed solar panels on her property, and envisions an energy future where Hunter Valley is powered by its abundant sun and wind. Join Wendy demand that Australian politicians stop mining companies from destroying rural Australian communities. Goldman Prize recipients focus on protecting endangered ecosystems and species, combating destructive development projects, promoting sustainability, influencing environmental policies and striving for environmental justice. Prize recipients are often women and men from isolated villages or inner cities who choose to take great personal risks to safeguard the environment. The Goldman Environmental Prize recipients are selected by an international jury from confidential nominations submitted by a worldwide group of environmental organizations and individuals. The winners are announced every April to coincide with Earth Day. Prize recipients participate in a 10-day tour of San Francisco and Washington D.C.—highlighted by award ceremonies in San Francisco and Washington D.C.—including media interviews, funder briefings, and meetings with political and environmental leaders. In addition to a monetary prize, Goldman Prize winners each receive a bronze sculpture called the Ouroboros. Common to many cultures around the world, the Ouroboros, which depicts a serpent biting its tail, is a symbol of nature’s power of renewal. Lock the Gate Alliance has congratulated Hunter Valley farmer Wendy Bowman on receiving the international Goldman Environmental Prize in recognition of her success protecting her home and community from Yancoal's South East Open Cut mine. 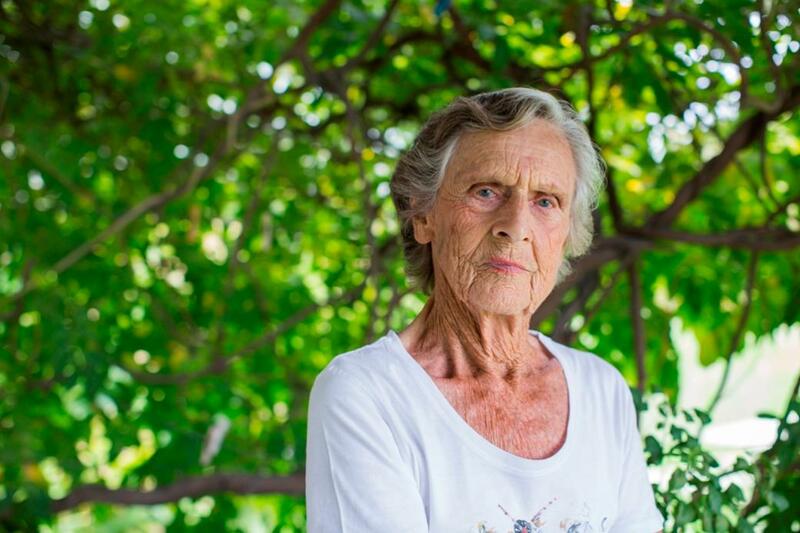 Lock the Gate Alliance spokesperson Georgina Woods said, "We are thrilled that Wendy's extraordinary contribution to the Hunter Valley has been recognised with this hugely influential award. "It is well deserved and will bring equally deserved attention to the struggle to restore balance in the Hunter Valley of which Wendy has been so long a champion. "Wendy’s court victory against mining company Yancoal has shown that farming champions can prevail and protect farmland from coal mines. "Her success has laid down a challenge to the NSW Government to reset its priorities. There are plenty of coal mines in the Hunter, but rich alluvial farmland can't be replaced and nor can communities. "Wendy has not only drawn a line in the sand to protect her own place, she is a tirelessly generous matriarch of the Hunter Valley community who supports other communities that find themselves in the path of destructive coal mines. "People in the Hunter should no longer be forced to accept coal mines pushing them off their land or destroying their lives with unbearable noise and dust. "We are calling for the NSW government to take the message sent by this award seriously, and puts a stop to the ongoing loss of farmland, rural villages and community well-being to coal mining. They must act now to restore balance” she said. Professor Dixon, who was named WA Scientist of the Year last August in recognition of his efforts in conservation science, restoration ecology and plant science, said it was vital that the mining industry was supported in applying high quality science to its efforts to restore the integrity of mine sites. “Restoration sits at the heart of Australia’s ability to sustainably and responsibly exploit its mineral wealth,” Professor Dixon said. “The CMSR aims to connect high-end science with on-ground practice in mining restoration, and to train the next generation of high level researchers to be industry-ready. “Researchers both at the post-graduate and doctoral level will work within industry, so industry will get to see them and understand the value of science, and the scientists will see how their research is valued and applied in the industry setting. Professor Dixon said the CMSR is one of the first ARC Industry Transformation Centres funded in Western Australia and was the culmination of decades of work and critical discoveries within the field of mine site restoration. “I’ve spent 30 years working across the broad mining industry – it’s been a really exciting journey and it’s meant that WA, more than any other place in the world, leads in innovation in environmental repair following mining,” Professor Dixon said. That success has been reflected in the three Golden Gecko Awards Professor Dixon has received, in partnership with industry, for environmental excellence within the mining industry. “The mining industry in WA has embraced the need for knowledge-led improvement in environmental management, however there is still much more work to be done,” Professor Dixon said. The centre, based at Curtin and with satellite activities at UWA, Kings Park and a number of mine sites, will focus on six key research areas: restoration genetics, seed technology and enablement, rare species management, restoration ecophysiology, restoration trajectory, and mining industry policy extension. Its multi-disciplinary staff will deliver a suite of integrated and focused research projects that underpin successful mine site restoration outcomes. “What the centre will do is consolidate and deliver a more effective package across a broad range of industries, identifying a ‘restoration trajectory’ for sensitive sites and a generic toolkit that will have application globally – from transnational companies down to mums and dads working in local community groups to restore coastal dunes, local lakes and more,” Professor Dixon said. François Raulin and Joachim Claudet do not work for, consult, own shares in or receive funding from any company or organization that would benefit from this article, and has disclosed no relevant affiliations beyond the academic appointment above. Biologists from The Australian National University (ANU) have named an unlikely pair of plants after Arnold Schwarzenegger and Danny DeVito, the stars of the 1988 movie Twins. Lead researcher Emeritus Professor Mike Crisp said one of the species of Daviesia, a genus of Australian pea flowers, was much more robust than the other, calling to mind the movie about Julius and his twin brother Vincent, the products of a genetic project. "We discover early on in the movie that the embryo split in two, but it didn't split equally -- all the purity and strength went into Schwarzenegger's character Julius, while the dregs went into Vincent, DeVito's character," said Professor Crisp from the ANU Research School of Biology. Daviesia schwarzenegger and devito are among 131 different sub-species that Professor Crisp and his ANU colleagues have identified within the genus Daviesia, which are known as 'egg and bacon peas' due to the colours of their flowers. Professor Crisp said Daviesia Devito was a smaller and weaker plant, while Daviesia schwarzenegger was a bigger and more robust plant. "We also wish to honour Arnold Schwarzenegger's leadership as Governor of California in pioneering the reduction of carbon emissions, and for advising the Australian Government to do the same," he said. The unexpected twin species are found in South Eastern Australia in the Mallee region, through South Australia, Victoria and New South Wales. "Both species are at risk of extinction, because they appear to be confined to tiny remnant patches of bushland in a region that is largely cleared for wheat farming," Professor Crisp said. "These plants are ecologically important members of the communities of plants in which they grow. They're nitrogen fixers, playing an important role in the Mallee region where the top soil is very denuded and the nutrients are depleted. It's essential to have nitrogen fixers to replace those nutrients." Professor Crisp said the team's monograph, which was published in Phytotaxa and took 40 years to produce, contributed to the huge ongoing task of documenting biodiversity globally. Australia generates a staggering amount of waste every year and alarmingly our waste is growing at double the rate of our population. Presenter and provocateur Craig Reucassel (The Chaser) tackles this growing issue in the thought-provoking, three-part series War on Waste, premiering Tuesday 16th May at 8.30pm on ABC and iview. No stranger to confrontation, Craig takes on the supermarkets, challenges Australians to go waste free, discovers what really happens to our recycling and how Australia’s obsession with fast fashion is causing an even faster waste problem. He tackles the immense problem of food waste, with millions of tonnes of food from our homes, supermarkets, farms and businesses ending up in landfill every year, uncovering why we are throwing out so much food and what we can do about it. Plastic bags are causing a huge problem for the environment and with over 4-5 billion plastic bags thrown out every year, Craig explores how we can do things differently. It’s time for all Australians to wake and declare a War on Waste. With some simple ideas and small changes, we can all do our bit to care for the world we live in now and into the future. Currently, tree canopy across NSW ranges from a high of 59% at Pittwater to 12% in Botany. Pittwater has recently, since the 10/50 rule tree clearing rule came into place, sustained a loss of around 12% of its tree canopy due to people cutting down trees, with some of these, or more, being destroyed simply to improve views. Improving on these figures by 2020 will require the respective LGAs to continue to progress their urban greening strategies. This report summarises the findings contained in Benchmarking Australia’s Urban Tree Canopy, a study conducted in partnership with the Institute for Sustainable Futures (ISF) at the University of Technology, Sydney (UTS). Inside you will find information on the importance of getting more trees and plants into our cities and urban areas, where we are at the moment in terms of tree canopy–a key indicator of green space–and what you can do to help increase it. What this report provides is a starting point for councils, developers and decision makers to better understand the existing tree canopy in their local areas and guidance on how to measure it. Hopefully, it will also serve as a conversation starter that will encourage dialogue and collaboration among government, industry, developers, academia and non-government organisations nationwide. WHAT IS THE 202020 VISION? The 202020 Vision is a collaborative plan to increase the amount of green space in our urban areas by 20% by 2020. To achieve this we are bringing industry, government and individuals together and providing them with the tools, resources and networks necessary to meeting our shared goal. The initiative was started in 2013 by Nursery & Garden Industry Australia and Horticulture Australia Ltd and has since grown to include 153 partners and 28 strategic experts. Even the United Nations Global Compact Cities Programme has come on board as a partner. The body empowered to plan for Sydney's future, the Greater Sydney Commission, has been critiised by environment advocates for producing nothing in its major planning documents but "rhetoric" about saving the city's dwindling tree canopy and green spaces. The Commission's Draft District Plans have been on display since November, with submissions closing recently. The plans will purportedly shape Sydney’s future housing supply, jobs growth, transport and direct the priorities of local councils. The draft plans lack infrastructure detail and housing affordability measures, according to those who have made submissions and this applies, too, to ensuring a greener urban environment or keeping intact green corridors and reserves. "There are no targets included for the environmental sustainability aspects of the plan; the only targets relate to an increase of households and dwellings," the Northern Beaches Council has stated in its submission, calling for targets for increasing tree coverage and green links. Thank you to everyone who took the time to have a say on the future of Greater Sydney. We have had more than 2000 submissions on our six draft District Plans and Towards our Greater Sydney 2056 as well as a huge amount of feedback and comments generated from all of our engagement activities including District Dialogues and social media Live Online sessions. More than 7,750 individuals engaged with us during the public exhibition period and a further 950 people watched the Commission’s launch event and joined briefings via webcast. “We want to thank all those people and organisations that let us know their views about the future of their part of Sydney,” said Greater Sydney Commission CEO Sarah Hill. “Thank you also to all those who provided their views on our 40-year vision for the overall future of Sydney - Towards our Greater Sydney 2056 - which is a draft amendment to A Plan for Growing Sydney. This feedback will shape the Draft Greater Sydney Region Plan which will be on public exhibition in late 2017. The Turnbull Government is providing almost $6 million to continue support for prostate cancer specialist nurses in 15 locations across Australia, with a focus on regional areas. Prostate cancer is the most common form of cancer affecting men, with over 16,000 Australians expected to be diagnosed this year and although it has a 95 per cent five-year survival rate, more than 3,000 men die from it each year. The Prostate Cancer Foundation of Australia will use the funding for 14 full time nurses through to 2019-20, to support men with prostate cancer. The program has been in operation since 2014 and these nurses are on track to assist around 4,000 men and their families by September 2017. Men diagnosed with prostate cancer often see a range of health care professionals over a length of time, including urologists, general practitioners, radiologists and allied health staff. This funding will continue to support prostate cancer nurse positions across Australia so that men with cancer, and their families, receive the support and information they need. We have seen that the greater coordination of care for other cancers has resulted in better outcomes for patients both for cancer control and psychological well-being. By funding these nurses we can make sure men battling prostate cancer receive the necessary and timely coordinated care they require. continuity of care for patients throughout the entire cancer journey. A diagnosis of cancer is one of the most confronting health issues anyone can face but the support and compassionate care that prostate cancer nurses provide will be a great help to men as they, and their families, tackle this disease. HealthShare NSW is about to dramatically improve the way patient meals are produced and served. My Food Choice, to be introduced at Blacktown and Mt Druitt Hospitals at the beginning of May, will do away with the food plating line in use since the 1970s and replace it with small preparation stations, said Director of Food and Patient Support Services, Carmen Rechbauer. Small, agile teams of Food Services staff will look after groups of patients, taking their orders with tablet computers just hours before service and transmitting orders to the kitchen by Wi-Fi. The same teams will prepare and serve the meals to ‘their’ group of patients, building quality of service and accountability. “My Food Choice puts the patient at the heart of service. We aim to ensure that the meal experience will be a highlight of each patient’s stay,” said Carmen. “Staff personally prepare the meals that they serve to each patient. This fundamental change of focus builds on the great work Food Services staff have already been doing to introduce new, nutritionally compliant menus that offer a greater choice of tastier meals. My Food Choice has been developed and tested with a high level of staff involvement at Mona Vale Hospital. It is expected to be introduced in all NSW public hospitals by late 2019. Staff at Blacktown Hospital have already visited the Mona Vale kitchen to get a firsthand understanding of how the new system operates, and they are enthusiastic, said Carmen. Previously the time taken between patients ordering and receiving their meals could be up to 30 hours, resulting in reduced satisfaction and an unacceptable level of food waste. Now meals will be delivered within four hours of ordering, meeting patients’ current levels of wellness and hunger. HealthShare NSW has also sourced tasty new meals from local private suppliers including the very popular Butter Chicken, flavourful options like Beef Rendang and a range of traditional roast dinners. The team continues to work closely with industry to ensure food packaging is easier to open. HealthShare NSW is the largest public sector shared services organisation in Australia. It is a statewide body of more than 6,500 employees who support the delivery of patient care in NSW Health. Today marks the start of major efforts by the NSW Government to deliver better access to palliative care across NSW, said Minister for Health, Brad Hazzard, ahead of a major palliative care forum at NSW Parliament House. The Metro Roundtable will be followed by a series of Roundtables in regional NSW, led by Parliamentary secretary Leslie Williams. “One of the Government’s top priorities is to provide better end-of-life care and more tailored, community-based palliative care services,” Mr Hazzard said. Palliative care manages pain and other distressing symptoms for people approaching the end of their lives. At present, more than half of all deaths in Australia occur in hospitals, though many people indicate, at various stages of their lives, that they would prefer to die at home. About 50,000 people die each year in NSW, and this will double by 2056. The Parliament House Roundtable will be followed by regional Roundtables, with the first on Monday May 1 at Orange. Subsequent roundtables will take place in Lismore, Kempsey, Broken Hill, Tamworth, Griffith, Queanbeyan and Kiama. Once all the Roundtables have been held, NSW Health will produce a discussion paper for public comment in June 2017. Overweight children and their parents will benefit from Australia’s first family-centred obesity clinic set up to help educate and treat families losing the battle of the bulge. Minister for Health Brad Hazzard said the $1 million Nepean Blue Mountains Family Obesity Service will help thousands of families in NSW break the cycle of obesity. “Disturbingly, around one in five children are overweight or obese and without intervention they risk developing chronic disease later in life,” Mr Hazzard said. The service draws on the expertise of a specialist team of doctors, paediatricians, dieticians, psychologists, physiotherapists, nurses and midwives. Patients, including pregnant women, children and adults are referred to the free service by their GP. More than half of all people aged 16 years and above in NSW were considered overweight or obese in 2015, costing the state an estimated $19 billion a year. Almost 40,000 public hospital admissions in 2014/15 were due to high body mass. Member for Penrith Stuart Ayres said the new service based at the Nepean Hospital campus will serve the Greater Western Sydney catchment and beyond and supports yet another of the Premier’s priorities. “Tackling childhood obesity is a commitment of this Government because if we continue to do nothing like Labor did, we risk sending our kids to an early grave,” Mr Ayres said. Factors such as genetics, lifestyle, social and cultural issues all play a part in maintaining healthy weight and the new service offers targeted interventions. The Nepean Blue Mountains Local Health District (NBMLHD) has partnered with the Nepean Blue Mountains Primary Health Network and the Charles Perkins Centre of The University of Sydney to deliver the service. Two native title claims covering more than 13,600 square kilometres in the Goldfields region of Western Australia have been finalised today with the Federal Court recognising native title on Tjiwarl country. The Tjiwarl and Tjiwarl #2 determinations were delivered at a hearing of the Federal Court of Australia at Ngurlu Wiriwiri (Jones Creek), approximately 40 kilometres north of Leinster. The determinations take in land and waters situated between the towns of Wiluna to the north and Leonora to the south. Minister for Indigenous Affairs, Nigel Scullion, said today’s determination recognised what traditional owners had always known – that this is Aboriginal land. “The determination of native title ensures the Tjiwarl people are not only recognised as the traditional owners of their land and waters, it ensures native title holders can manage their own land and pursue the economic development opportunities that they want to,” Minister Scullion said. “The recognition ensures traditional owners are front and centre on the future of their land – land that will be fundamental to the preservation of culture and job and wealth creation for many generations to come. Member for O’Connor, Rick Wilson, said he was pleased the native title holders had been recognised following many years of work. “I look forward to working with the Tjiwarl people to see what opportunities they wish to pursue and to seeing traditional owners make decisions about their land,” Mr Wilson said. The Coalition Government recognises the importance of working with native title holders. That is why we have allocated more than $20 million to directly support traditional owners who want to pursue economic development – the first time this funding has been directly allocated for traditional owners. Minister Scullion and Mr Wilson congratulated the Tjiwarl people and their legal representative, Central Desert Native Title Services, for securing today’s determinations. Minister for Defence Industry, the Hon Christopher Pyne MP, has welcomed awards to recognise and reward Australian companies and individuals at the forefront of naval and commercial maritime innovation. “There are so many small-to-medium enterprises that have developed world-leading products that have not only met Australia’s defence needs but achieved success internationally,” Minister Pyne said. “These awards are about celebrating, recognising and rewarding the skills and expertise that exists within Australia. Innovation is at the forefront of the Government’s principal defence industry and innovation initiatives, a key driver to generate new defence capability. The Next Generation Technologies Fund will invest around $730 million over the decade in technologies that have the potential to deliver game-changing capabilities for the ‘future force after next’. “Innovation in defence capability is fundamentally important to maintaining a warfighting advantage and capability edge,” Minister Pyne said. The front door for doing business with Defence, the Centre for Defence Industry Capability, is available to provide practical advice and assistance needed to working with Defence. The Turnbull Government will secure domestic gas supply with the introduction of export restrictions to ensure the Australian market has adequate supplies before exports are permitted. The shortage of domestic gas supplies has resulted in dramatically higher prices in Australia - higher than prices paid in the markets to which Australian gas is being exported. By ending the shortage, and ensuring the domestic market has adequate supplies, we will ensure gas prices in Australia are lower and fairly reflect international export prices as they should. Australians are entitled to have access to the gas they need at prices they can afford. Thousands of jobs depend on secure, reliable and affordable gas. While good progress has been made, these requirements have not been met. It is unacceptable for Australia to become the world's largest exporter of liquefied natural gas, but not have enough domestic supply for Australian households and businesses. That is why the Turnbull Government is introducing the Australian Domestic Gas Security Mechanism which will give the government the power to impose export controls on companies when there is a shortfall of gas supply in the domestic market. Gas companies are aware they operate with a social licence from the Australian people. They cannot expect to maintain that licence if Australians are shortchanged because of excessive exports. The Australian Domestic Gas Security Mechanism will ensure gas supply in Australia always meets the forecast needs of the local market. Securing supply in the domestic gas market will put downward pressure on retail prices in Australia. The Government remains committed to LNG exports but not at the expense of Australian interests. This action is expected to apply only to east coast exporters and will comply with our international obligations. This is the third part of the Turnbull Government’s strong and concerted action to deal with the gas crisis. We are delivering the outcomes Australians expect. Full consultation with industry will now take place with regulations to be in place by 1 July, 2017. Professor Sue Thomas has been appointed to serve as the new CEO of the Australian Research Council (ARC). Minister for Education and Training Simon Birmingham said Professor Thomas would play an important role in shaping the future of Australian research and delivering on the Turnbull Government’s National Innovation and Science Agenda (NISA). “I’m pleased that after an extensive search we have been able to find some of the best talent suited for the role right here in Australia,” Minister Birmingham said. “Professor Thomas will be focused on ensuring Australia remains at the cutting-edge of research, innovation and global competiveness, drawing on her distinguished career experiences to date. “Professor Thomas is an experienced university leader with a strong academic background in microbial genetics, environmental microbiology and agricultural biotechnology and she will bring significant teaching, research and commercialisation expertise to the ARC. “The ARC has a significant agenda ahead, including developing the new Engagement and Impact Assessment to accompany the internationally-recognised Excellence in Research for Australia (ERA) and the agency has a key role to play in delivering the Turnbull Government’s record $3.5 billion annual investment in research and measuring those outcomes. Professor Thomas is currently Provost and Senior Deputy Vice-Chancellor at the University of New England, having previously held senior positions at Charles Sturt University, University of Canberra and Flinders University. Professor Thomas will commence her role with the ARC on 3 July 2017. Leanne Harvey will continue in the role of Acting CEO of the ARC until then. Further information about Professor Sue Thomas and the ARC is available at www.arc.gov.au. The content is available on Sights and Sounds of World War One(http://anzacsightsound.org), a website developed in partnership between Nga Taonga Sound & Vision (NTSV) in New Zealand. The site commemorates the Centenary of the First World War by showcasing audiovisual material held by both archives. It was launched in 2015, and updates of new content will occur throughout the centenary period up to 2019. Special 'nugget-producing' bacteria may hold the key to more efficient processing of gold ore, mine tailings and recycled electronics, as well as aid in exploration for new deposits, University of Adelaide research has shown. "Primary gold is produced under high pressures and temperatures deep below the Earth's surface and is mined, nowadays, from very large primary deposits, such as at the Superpit in Kalgoorlie," says Dr Frank Reith, Australian Research Council Future Fellow in the University of Adelaide's School of Biological Sciences, and Visiting Fellow at CSIRO Land and Water at Waite. "In the natural environment, primary gold makes its way into soils, sediments and waterways through biogeochemical weathering and eventually ends up in the ocean. On the way bacteria can dissolve and re-concentrate gold -- this process removes most of the silver and forms gold nuggets. "We've known that this process takes place, but for the first time we've been able to show that this transformation takes place in just years to decades -- that's a blink of an eye in terms of geological time. "These results have surprised us, and lead the way for many interesting applications such as optimising the processes for gold extraction from ore and re-processing old tailings or recycled electronics, which isn't currently economically viable." Working with John and Johno Parsons (Prophet Gold Mine, Queensland), Professor Gordon Southam (University of Queensland) and Dr Geert Cornelis (formerly of the CSIRO), Dr Reith and postdoctoral researcher Dr Jeremiah Shuster analysed numerous gold grains collected from West Coast Creek using high-resolution electron-microscopy. Published in the journal Chemical Geology, they showed that five 'episodes' of gold biogeochemical cycling had occurred on each gold grain. Each episode was estimated to take between 3.5 and 11.7 years -- a total of under 18 to almost 60 years to form the secondary gold. "Understanding this gold biogeochemical cycle could help mineral exploration by finding undiscovered gold deposits or developing innovative processing techniques," says Dr Shuster, University of Adelaide. "If we can make this process faster, then the potential for re-processing tailings and improving ore-processing would be game-changing. Initial attempts to speed up these reactions are looking promising." Every year, worldwide wine industry suffers losses of more than ten billion US dollars from damaged assets, production losses, and lost profits due to extreme weather events and natural disasters. A multidisciplinary European-Australian team of researchers led by Dr. James Daniell of Karlsruhe Institute of Technology (KIT) examines the extent to which regions are affected by the risks and how climate change influences wine industry. At the 2017 Annual Conference of the European Geosciences Union (EGU) in Vienna, Daniell presented a global risk index for wine regions. The wine regions of Mendoza and San Juan in Argentina are exposed to the highest risks due to extreme weather and natural hazards worldwide. Kakheti and Racha in Georgia come in at number 2, followed by Southern Cahul in Moldova (number 3), Northwest Slovenia (number 4), and Yaruqui in Ecuador and Nagano in Japan (number 5). These are the first results of a current worldwide study and the first release of the global risk index for wine regions presented by the head of the study, Dr. James Daniell, of the Geophysical Institute (GPI) and the Center for Disaster Management and Risk Reduction Technology (CEDIM) of KIT at the 2017 Annual Conference of the European Geosciences Union (EGU) in Vienna in the session of "Natural hazard event analyses for risk reduction and adaptation." The EGU honored Daniell by granting him the "Early Career Scientist Award in Natural Hazards for 2017." The study is carried out and the index is developed in cooperation with seismologists, meteorologists, and representatives of other disciplines from KIT, Australian National University, University of Adelaide, Griffith University, University of New South Wales, and University College London as well as Risklayer GmbH, a company located in Karlsruhe. The "WineRisk" website summarizes the results of the study and presents solutions for wine regions. The study covers more than 7,500 wine regions in 131 countries. There is no wine region in the world that is not exposed to extreme weather or natural disasters. Events, such as frost, hail, floods, heat, drought, forest fires, and bushfires as well as earthquakes make worldwide wine industry lose more than 10 billion US$ every year according to conservative estimations. These losses result from damaged assets, losses of production, and lost profit. "Cold waves and frost have a large impact," James Daniell says. In the last few days, much frost occurred across Europe, with Slovakia, Bosnia, Serbia, Hungary, Austria, and Czech Republic having the worst impact. Hailstorms are one of the largest yearly natural threats to European winemakers. Traditional wine countries like France and Italy have seen huge losses in the past five years due to hail and frost, with many losses being recorded in the regions of Burgundy and Piedmont. The hail losses from 2012 to 2016 in some vineyards totaled 50 to 90 percent of the value of the crop and caused long-term damage to many old vines. It is not just Europe that is affected by hail. All over the world, winegrowing regions are affected by at least one hail event per year, which can cause damage to the single vintage or to multiple vintages depending on the growth phase of the vines. According to James Daniell, hail nets can save the crop in most cases, given a large hail event. "Cost-benefit analyses generally show that the premium wines should be the ones covered by hail nets, with insurance or other cheaper methods used for other wines." Earthquakes have the ability to knock out the infrastructure of entire wine regions for a number of years. In the past years, earthquakes struck Chile, New Zealand, and the USA, among other smaller events causing damage around the world. Over 125 million liters of wine were lost in Chile in 2010, mainly due to the failure of steel tanks. "Earthquake-resistant design could have saved many millions of liters," Daniell says. Earthquakes also cause large losses to buildings, tanks, barrels, equipment, and chemicals. Even small earthquakes do not only cause financial loss, but also historical loss by destroying tasting rooms and rare wine collections. A few dollars investment in stabilization mechanisms, such as quake wax, zip ties or bolts, can often save millions of dollars loss. In addition, natural disasters are associated with losses of jobs and tourism. Global climate change will have both positive and negative effects on wine industry, according to the study. Researchers expect a general shift of wine-growing regions southward and northward, while some wine regions closer to the equator may be lost. Many wines may indeed improve. "The English, Canadian, and Northern China wine regions will likely increase production markedly and continue to improve their market share and quality of production," predicts Dr. Daniell. The scientists expect that many wineries will master climate changes by changing grape varieties or harvest times. In addition, they will profit from new grape strains, innovative technologies to optimize production and reduce damage due to biological pathogens and insects, and new methods to overcome extreme weather events. The study also covers problems, such as bushfires causing smoke taint to vines. However, smaller-scale studies are required before the results can be included globally in the index. In addition, the effects of floods on vines are being explored. Nevertheless, a major volcanic eruption would likely cause the largest global impact to the wine industry, examples being the Laki eruption of 1783/84 or the Tambora eruption in 1815 which caused the famous "year without a summer" in 1816. Atmospheric changes, lack of sunlight, and global transport problems could cause major issues not only for the wine industry, other food security issues would likely be more important. Despite all these hazards, the wine industry continues to grow and diversify. "Through detailed natural hazard analysis, research can help winemakers and governments alike to prepare adequately for the natural hazards that they face and to reduce losses," Dr. James Daniell says. The geophysicist born in Australia also developed the CATDAT database covering socioeconomic data on natural disasters. Last year, he published CATDAT statistics, according to which 8 million people died and over 7 trillion US$ of loss were caused by natural disasters since 1900.